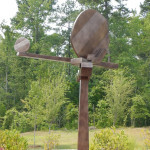 Carolina Bronze Sculpture, NC’s only commercial fine art bronze casting foundry recently fabricated and installed an aluminum sculpture for artist and owner, Ed Walker. 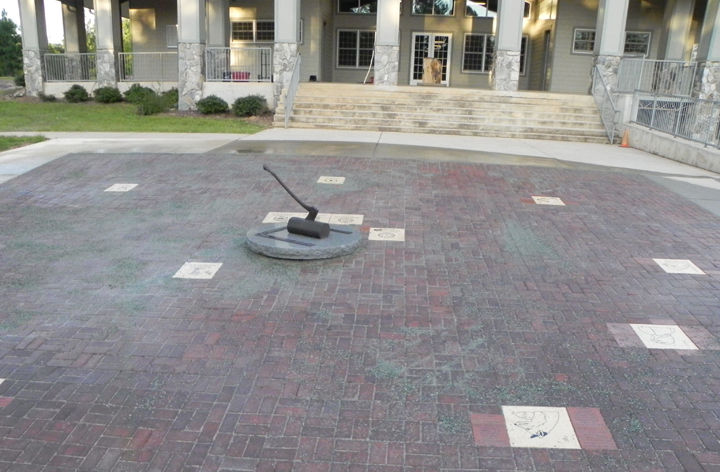 The piece titled “Pottery Time” was installed at the edge of a small park at the corner of E. Main St and S. Broad St. in downtown Seagrove. 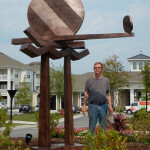 This impressive sculpture features a 5’ diameter clock face reminding visitors to make “time” to see the many creative artisans that live in Seagrove. 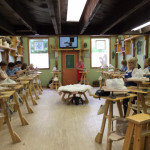 To celebrate the rich tradition of pottery, Ed chose a small pottery shape to mark each hour. 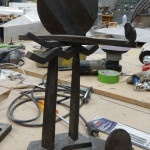 Here is Ed’s finished sculpture, titled “Balancing Time”. 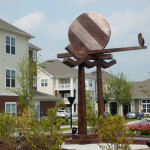 It was installed at the REALM Patterson Place Apartments in Durham, NC. 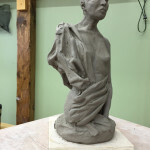 Ed Walker, owner of Carolina Bronze Sculpture, NC’s only commercial fine art bronze casting foundry, has attended a week long figure modeling class with well-known sculptor, Philippe Faraut in upstate NY. 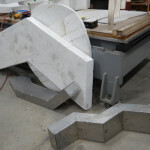 To create this 12′ tall sheet aluminum sculpture, I first made full size cardboard templates. From these, I was able to cut and bend all the aluminum. 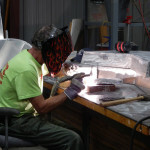 Individual pieces were welded and finished, then assembled. 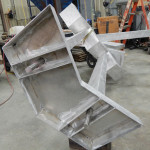 You can see some of the supports in the base. 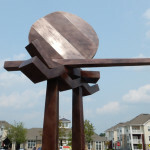 Steel rods run through the entire sculpture for added strength. Still have more to do! 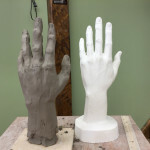 I am starting a new sculpture using the model on the left as my design. 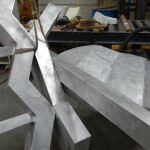 It is being built at Carolina Bronze Sculpture out of sheet aluminum. 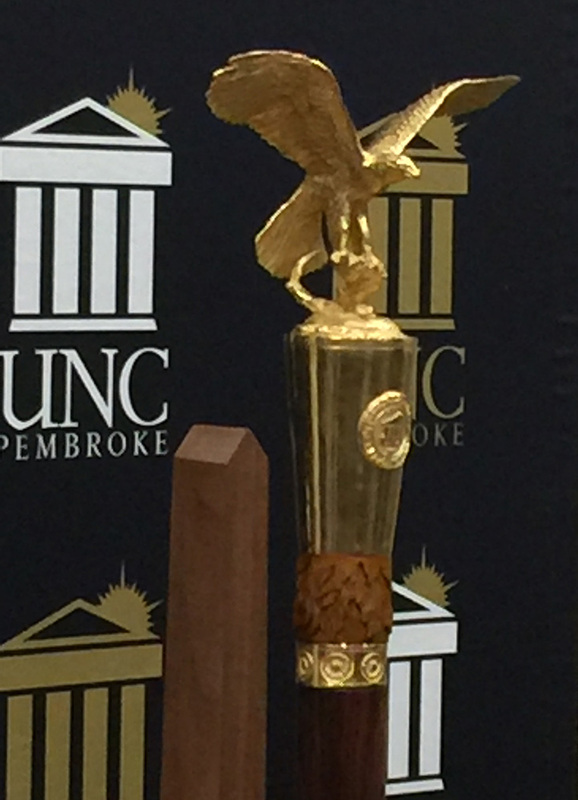 It will be going to Raleigh when it is finished. More pictures will becoming soon. 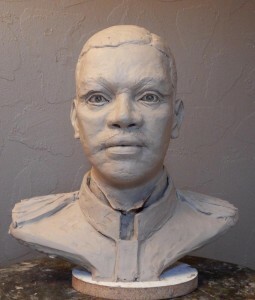 Just finished working on a study of John Mitchell, Jr. 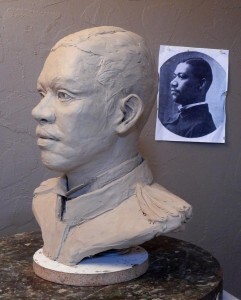 Hoping to do some more portraits. 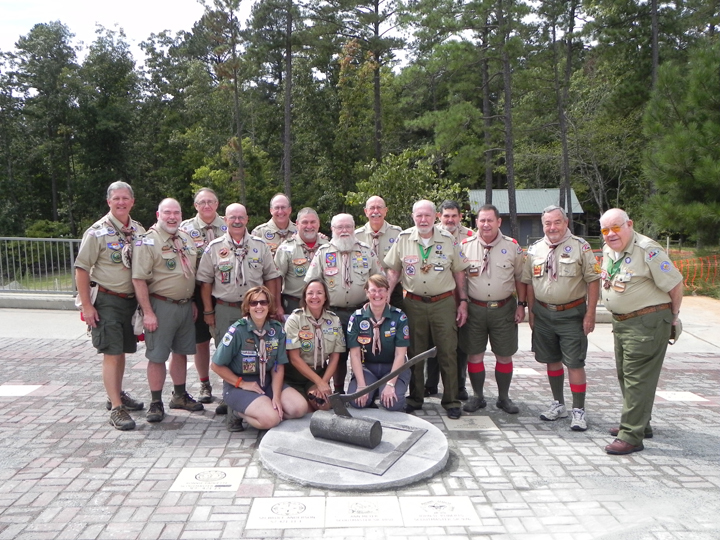 Here is the final installation of the Boy Scout Sundial. These are some very happy folks! 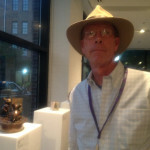 Attended the International Sculpture Conference in New Orleans, LA during the week of October 1-5. Had a great time with family and friends. Ate lots of good food and saw lots of art. 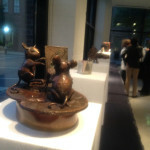 Here are some pictures from the “Little” Art Show that I participated in. 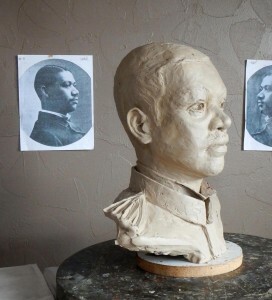 All works had to be less than 8″x8″x8″. 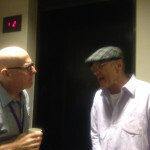 Also a great picture of old friends Gene Koss and Barry Bailey during the opening at the Ogden Museum of Southern Art.